This is your basic black 1/4" speaker cable. The cable is two conductor 13 gauge. The ends are nice fat heavy duty G&H Mega Foot 1/4" male TS with heavy shrink tube covering the ends and continuing down the cable a couple of inches for added strain relief. Besides helping the longevity of the cord, the shrink tube is an added safety feature. 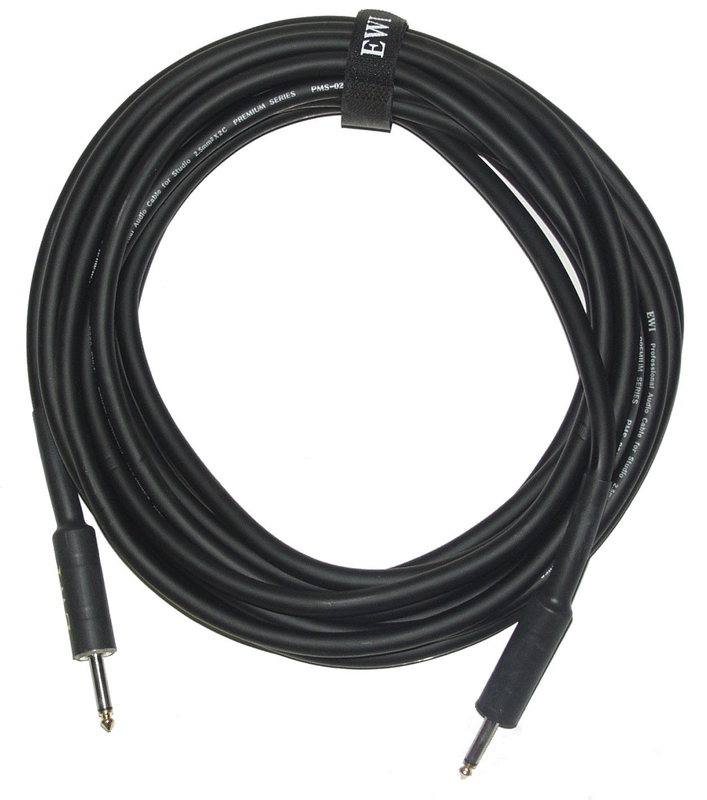 This is a good, heavy duty cable, capable of carrying upwards of 1000 watts from your amp to your speaker. Cables of 50ft. length and longer will come equipped with a velcro type tie strap as shown in the pictures. Tie straps for the shorter cables are available upon request. Speaker cable for 1/4" to 1/4" amp to speaker connections. PMSA-5: 5 ft, 0.80 lbs. PMSA-10: 10 ft, 1.00 lbs. PMSA-15: 15 ft, 1.3 lbs. PMSA-20: 20 ft, 1.80 lbs. PMSA-25: 25 ft, 2.2 lbs. PMSA-30: 30 ft, 2.6 lbs. PMSA-50: 50 ft, 4.10 lbs. PMSA-100: 100 ft, 7.8 lbs.